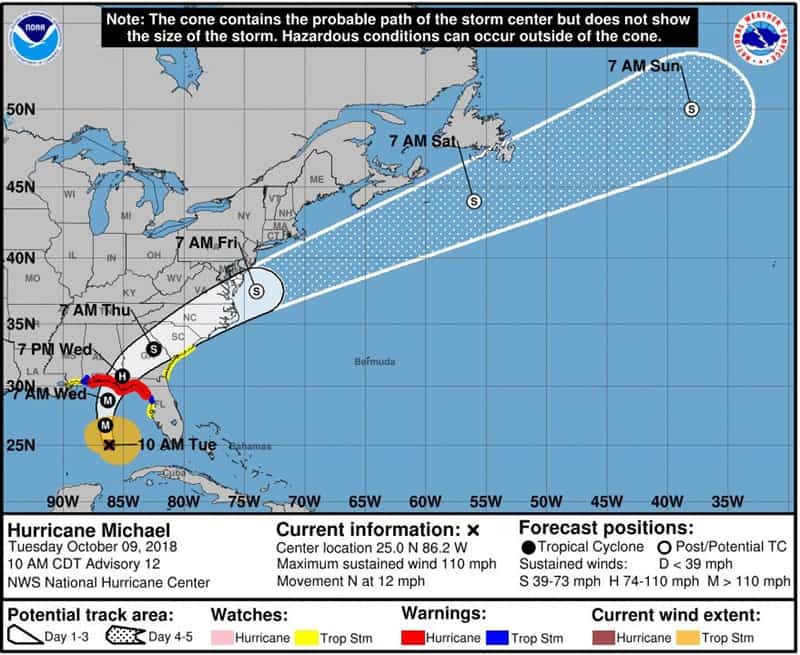 Hurricane Michael continues to intensify as it moves north through the Gulf of Mexico straight for the Florida panhandle. Carnival Cruise Line has been impacted the most with cruise ships already changing itineraries. Hurricane Micahel is currently at category 2 and still gaining strength as cruise lines monitor and keep ships away. Carnival Cruise Line is the dominant cruise line in the Caribbean so as expected several ships have already been impacted. Carnival Cruise Line is watching the storm developments closely as it heads towards the Florida coast where it will reach on Wednesday. The Hurricane formed over a hundred miles south of Cozumel, Mexico and Eastern Caribbean cruise itineraries have needed to be adjusted. The conquest class ship’s October 6 Western Caribbean cruise has been changed. The scheduled port of call in Cozumel on Oct 8 was canceled, and the ship spent a day at sea instead. The return back to Galveston, Texas will be just as normal. The Carnival ship has been forced to cancel one port of call. Instead of sailing to Grand Cayman Carnival Glory sailed a fun a day at sea on Oct 6. The ship is sailing a 7-night western Caribbean cruise from Miami, Florida. The 4-night sailing departing Mobile, Alabama on Oct 11 is being monitored by Carnival at the moment. The Port of Mobile is the nearest homeport when Hurricane Michael starts impacting the Gulf coast so this departure could be impacted. The Spirit class vessel has canceled its scheduled call in Cozumel, Mexico today (Oct 9). The ship is having a fun day at sea instead. The rest of the 7-night Western Caribbean cruise is expected to continue as normal including a return to Port of Tampa on Oct 14. Carnival has stated that the ship itinerary has been swapped. The 5-night cruise from Tampa, Florida will visit Cozumel on Oct 10 and then Grand Cayman on Oct 11. The October 8 sailing from New Orleans has been changed by swapping around the port of calls. The new order is Progresso on Oct 10 and then Cozumel on Oct 11. The ship will arrive back at her homeport as scheduled on Oct 13. Another Carnival cruise ship with swapped a port to make sure guests and crew are kept away from the Hurricane. The ship will sail to Key West, Florida on Oct 11 instead of the original date of Oct 9. The rest of the 4-night voyage from PortMiami is to go ahead as normal. We will update this post through tomorrow if there are any new Carnival ship itinerary changes. Guests worried about the storm and how it could impact their cruise should also get official updates from the cruise line. The Fleet Operations Center based in Miami is monitoring how the Hurricane is impacting cruises and will adjust itineraries and departures accordingly. 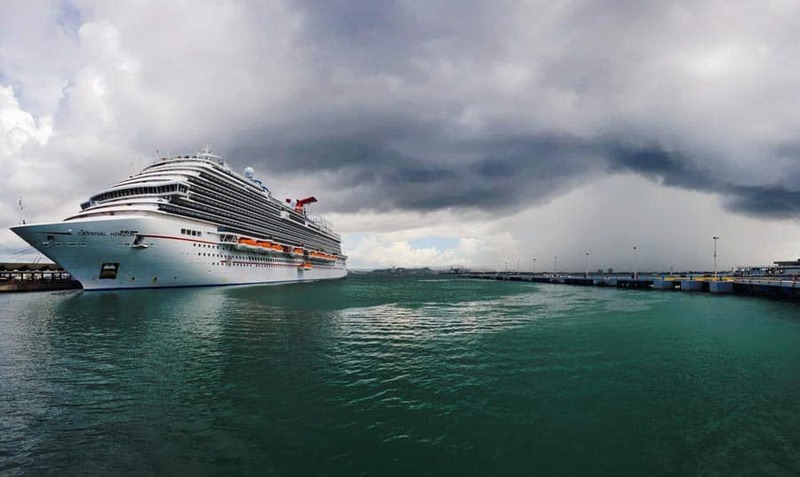 Related: How Does Carnival Cruise Line Deal with Bad Weather? Hurricane Michael is a major threat to ships in the Gulf of Mexico and the Florida panhandle. According to the National Hurricane Center (NOAA), the storm has maximum sustained winds of 110 mph and is moving north at 12 mph. On Wednesday Michael will begin hitting the Florida coast, and there are warnings in place for the Alabama/Florida border to Suwannee River, Florida. This storm is major and will still be a Hurricane after the center reaches land. The Hurricane will bring high winds, high swells, storm surge, and heavy rainfall. We do hope everyone in the path manages to get away and stay safe. We also hope that cruise passengers on impacted ships understand the reasons for their changed itinerary as safety comes first.